Every parent wants to give the best care for their baby. And while you can’t always be by your child’s side, an extra pair of eyes watching over your baby gives you peace of mind. Baby monitors are convenient devices that ensure you can keep a safe eye on your child even when you are away from them. If you are new to parenting, you may find yourself going into a panic whenever you leave your baby sleeping. But you have to get things done one way or another. The best baby monitor will take off some of the anxiety during the baby’s nap time. While baby monitors can be worthwhile, many parents have observed common problems like batteries that run for a short time, static, privacy interference, and poor audio quality. Today, we look at some of the best baby monitors on the market. From audio monitors to wireless, touchscreen, and video monitors, we’ll be covering the details and important features that make these devices standout. These models are advanced in that they have overcome most of the complaints showcased by parents. Who should use a baby monitor? It’s important that you ensure the audio is loud enough for you to hear the baby clearly. The screen should also be large so you can see the baby’s sleeping position. Your baby’s monitor should not be susceptible to too much interference especially if you live in an apartment or in build up areas. This feature is important to help parents maintain the ideal sleeping conditions for the baby. They allow you to make changes such as turn on the cooler when it’s hot or turn on the heater when it’s too cold. How far can the signal reach? Most baby monitors have a range of around 600-900ft. This should enable you to step away as far as possible and still be connected to the baby’s transmitter. You still want to see the baby when sleeping, without having to turn on the baby’s room light. A baby monitor with night vision gives you this possibility. This can be a flashing light which turns on when the device is out of range. Some baby monitors are very loud that the notification can be a nuisance. That’s why you’ll want to have a model that is volume controllable this way; you can turn it down to your ideal sound level. This is in terms of the baby monitors you can connect to the receiver. An expandable monitor comes in handy when you want to monitor more than one baby. Analog monitors send signals directly to the monitor while digital monitors encrypt the signal before sending it. Digital monitors are more secure as they are not susceptible to hacking. The additional security feature on digital monitors helps keep your baby safe from people who could be listening in on your baby. Why we like it: The most popular monitor among parents everywhere on the planet. 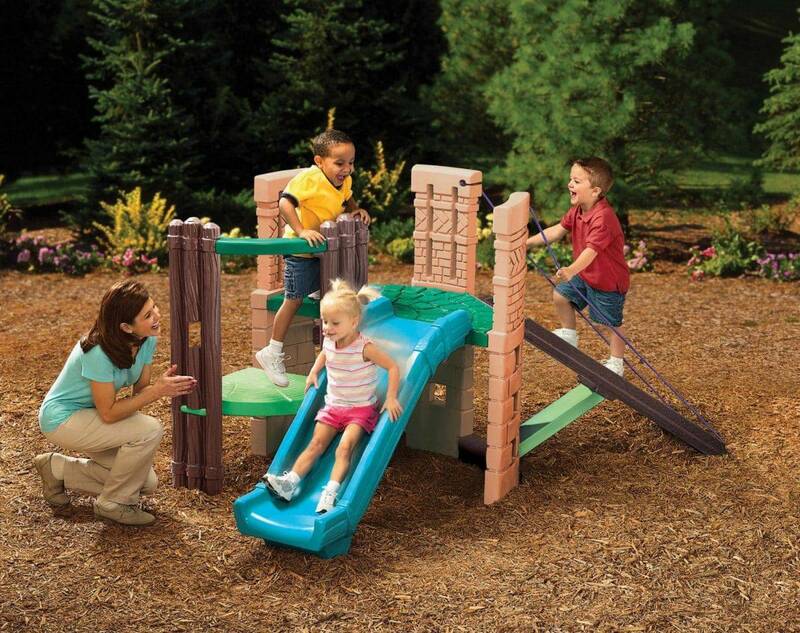 It’s an innovative design with features we’ve only seen in this best seller. 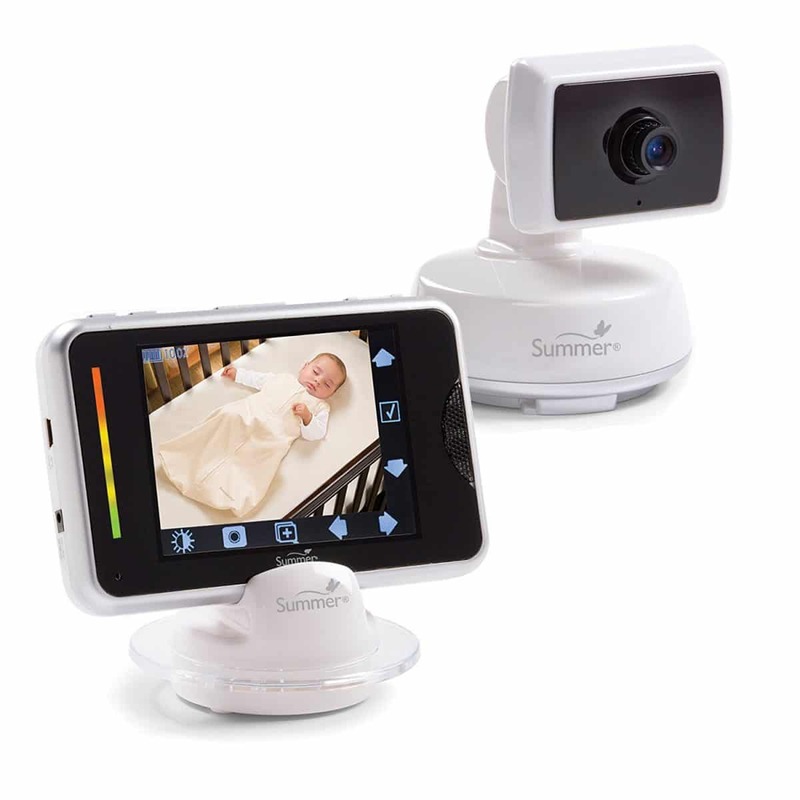 Our top-rated baby monitor is the Infant Optics DXR-8 Model. This unit speaks of functionality and performance at its best. With thousands of positive reviews, the DXR-8 provides the convenience of listening and watching your baby without ever entering the nursery. You can span and zoom in the room such that you can know when someone else enters the room. The Infant Optics DXR-8 is the first ever baby monitor with the ability to change the lens. You’ll have to buy the interchangeable lens separately, but it gives you the chance to customize the zoom without turning the camera tilt angle. The included lens provides regular viewing and zoom option while the wide-angle interchangeable lens brings in the personalized view. The panoramic view comes in handy when your baby starts to move and play so that you can always monitor they playtime. You have a device that can monitor the temperature of the room. This way, you’ll be able to turn ON and OFF, the devices that influence the temperature, like the heater or air cooler. The Audio-On mode with the screen off; cuts battery consumption by up to 50%. It becomes an audio-only monitor when you don’t need to keep looking at the screen. When the volume is turned down, a row of LEDs will light up ensuring you don’t miss when the baby is crying. Not to mention, you can talk into the monitor. This assures the baby you are around, and you can soothe them back to sleep. You won’t be able to take snapshots with the camera or even record video. But we like that this monitor is not very loud so it won’t startle your sleep in the middle of the night. Overall, we believe the Infant Optics VXR-8 scores high as it meets the expectations of many new parents. We hope it will be of great benefit as you take care of your baby. Why we like it: A baby monitor with the longest range. Mothers and caregivers can undertake normal house duties knowing they can listen in on the baby at any time from anywhere in the house. If you are looking for a digital sound monitor, the V-Tech is your best bet. This unit uses DECT 6.0 technology which transmits sounds with ultimate clarity. You will hear every slight movement that can indicate how well your child is sleeping. It saves you from hearing the annoying white noise usually associated with analog devices. It doesn’t matter how far the laundry room is, with 960ft range, a secure connection will always be achieved. he parent unit uses two rechargeable AA batteries which gives easy monitoring for extended hours at a time. You can set the monitor to beep when the battery is low or when you lose connection with the audio monitor as you go about your chores. The parent unit includes a belt clip. This feature allows taking the device with you when you don’t have a place to set it down. This way, you’ll never forget it in another room and consequently miss your child’s cries. A 5-level sound indicator will tell you the level of sound in the baby’s room. It comes in handy when you have muted the device as you still get to know when your baby stirs or when he wakes up in need of comfort. 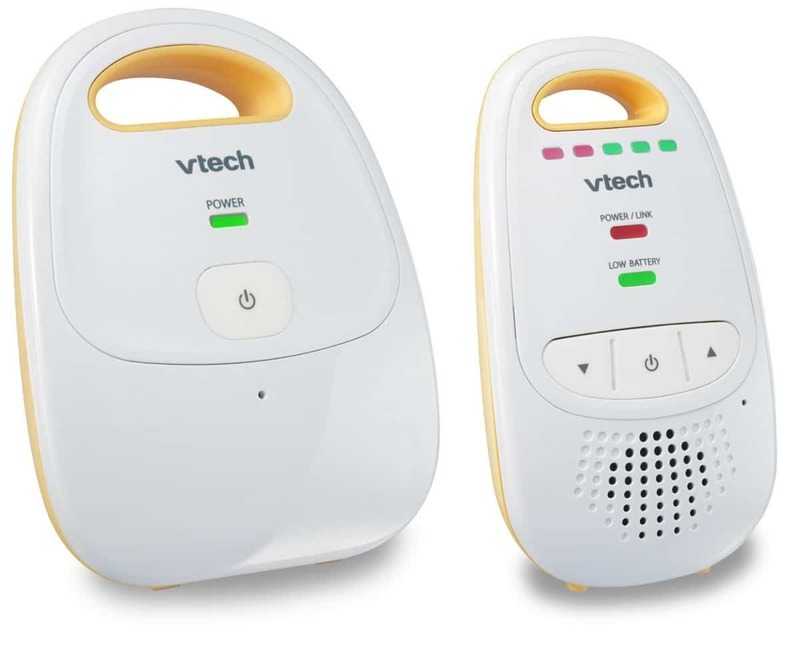 By using DECT technology, the V-Tech Baby monitor transmits an encrypted signal to the parent unit. This means you are the only person who can listen in on your baby. It keeps you and the baby safe. You can increase and decrease the volume to suit your listening needs. Since it does not have the static feedback, there’s no need to worry about missing cries when the volume is low. The high-sensitive microphone allows you to take advantage of digital transmission. Why we like it: Hello Baby performs with excellence both in daylight and during the night. 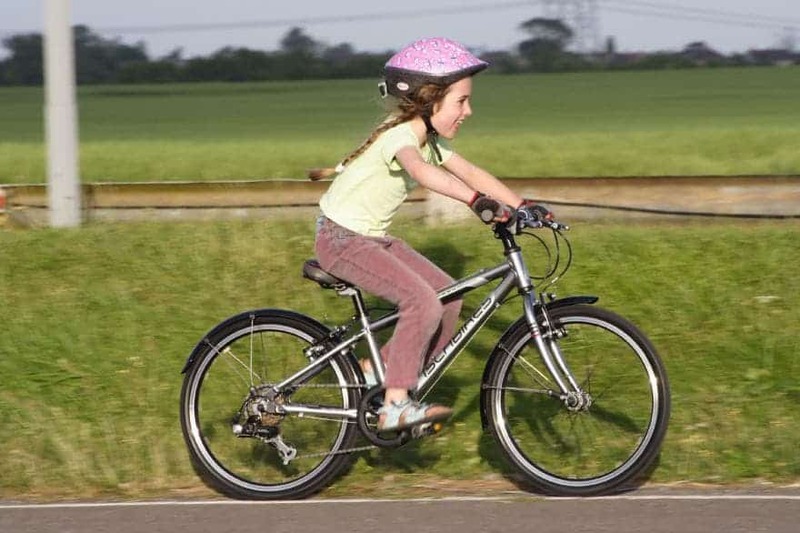 The multifunctional features all come at a very reasonable price. The Hello Baby speaks for itself as a wireless baby monitor. It gives high-quality images and sound on a portable video monitor. It allows you to not only listen to your baby’s movements but also see if they are in the right sleeping position. Hello Baby gives you information about the room’s temperature. You will know how the room’s warmth is affecting the sleep and health of your baby without even taking their body temperature. By using enhanced 2.4GHz wireless technology, the camera remains in range for as long as the parent monitor is in the detection range. It promises super clear sound which it delivers with excellence. The video quality is also great as you get to see the baby with superior clarity. This is a plug-and-go device. No more worrying about software and connectivity problems as the camera picks the wireless connection immediately it is on. You can connect the monitor to three other cameras when you have more kids to watch as see all of them on one screen. The battery life gives only 8 hours of running time which means you have to recharge it at least once a day. But you can extend the running time to 12 hours with the power saving mode. 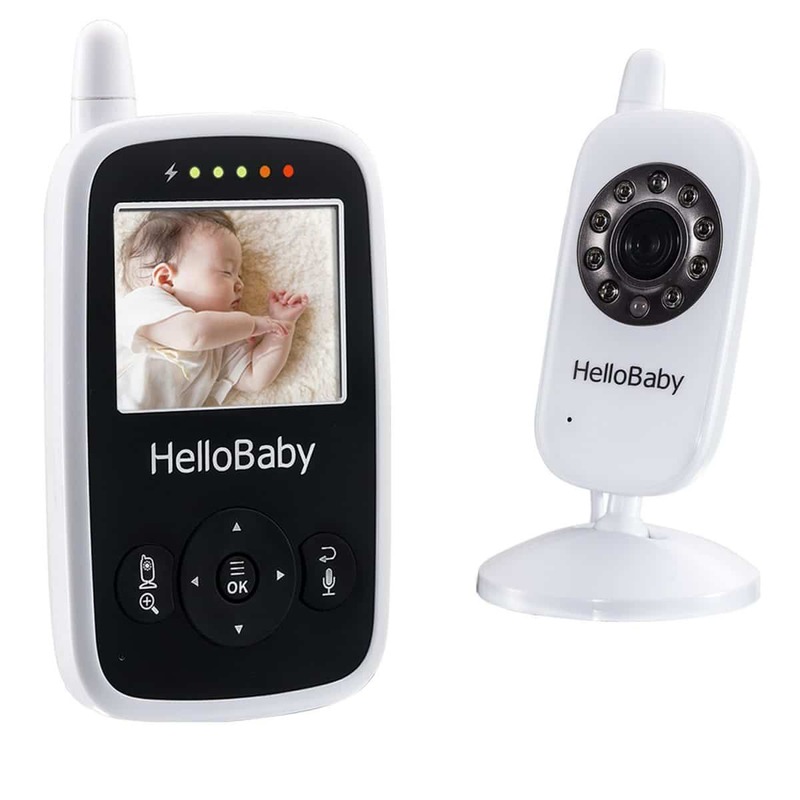 Hello Baby provides all the other convenience features which make baby monitoring a breeze. It has a two-way talk, temperature sensing and warning, 2x digital zoom, eight alarm levels, optical pan, and tilt, and sound-activated LED indicator. Why we like it: An all-inclusive baby care system with advanced features to make baby monitoring a breeze. From a digital connection to automatic settings, this baby monitor is a winner. Baby monitors are not just sound enabled anymore. With technology, comes the capability to watch your baby’s movement on a screen. The Babysense Video Baby Monitor brings this convenience and so much more. The parent unit comes with a portable device that you can take around the house. You will like that it is lightweight and it uses rechargeable lithium-ion batteries. You get to watch the baby on a large 2.4-inch screen. It also provides 2x digital zoom, so you can see more closely meaning you can enjoy a precious moment up close. This monitor also provides long-range coverage with a 900ft detection distance. It allows you to go about your duties without worrying that if you get too far, you’ll not hear the baby cry. You have a device that provides alerts when the room gets too warm or too cold. Babysense uses a temperature sensor that activates an alarm system when the room goes over 90F or below 55F. This way, you don’t just see a number on the screen; you’ll know exactly what to do. Apart from the temperature sensor, it has pre-programmed polyphonic lullabies to lull your baby to sleep. Not to mention, it allows two-way communication, enabling you to soothe your baby before you can get to them. However, the baby’s camera will only tilt 60-degrees. This means you have to be smart about where you mount it so that it can look down on the baby at the right angle that will allow you to see correctly. Another thing: the camera’s cord is also too short that you may need to use an extension cord if the power outlet is far from where the baby’s crib is located. 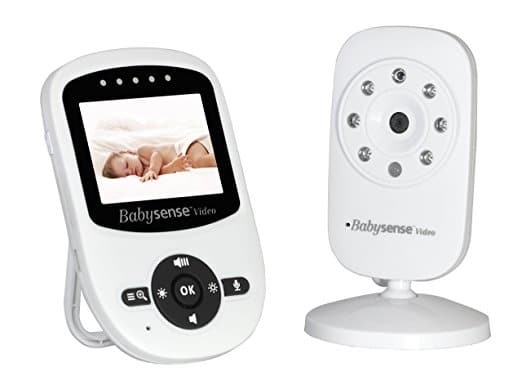 Nevertheless, Babysense is a remarkable video monitor that does what it intended to accomplish. From the secure connection to the ECO mode, you’ll have an easy time taking care of your baby. With the help of motion tracking, the Summer Infant baby monitor allows you to be aware of your baby’s movement. This monitor comes with an easy-to-use interface alongside reliable technology which enables touching of the screen to control the transmitter remotely. The Summer Infant Baby monitor is one of the most sought as it fits in with other modern and competitive models. This unit has motion tracking which enables monitoring for up to 400ft. On the large 3.5-inch screen, you can smoothly pan, zoom, and scan the baby’s room. It has two-way audio which allows talking to the baby without entering the nursery. It is small, sleek, and feels more like a smartphone when in use. The touchscreen features settings for the volume, sound lights, and battery indicator. With the USB, you can connect the monitor to the TV and watch the baby from the television. You can connect the monitor directly to a power outlet or use 4 AA batteries for wireless convenience. This monitor does not have lullaby or nightlight functions. As such, you may not get its full usage like soothing the baby with pre-programmed lullabies. If you love the simplicity of control on a touchscreen, you will like the Summer Infant Baby Touch Digital Monitor. Controls are simple, and you can add up to three additional cameras. Why we like it: A wireless home security camera that is not only useful in the baby’s first months but throughout their growing up. It is hard trusting someone else to give care to your baby. But when duty calls, you’ll want to know that wherever you are, you can check in and see your baby. 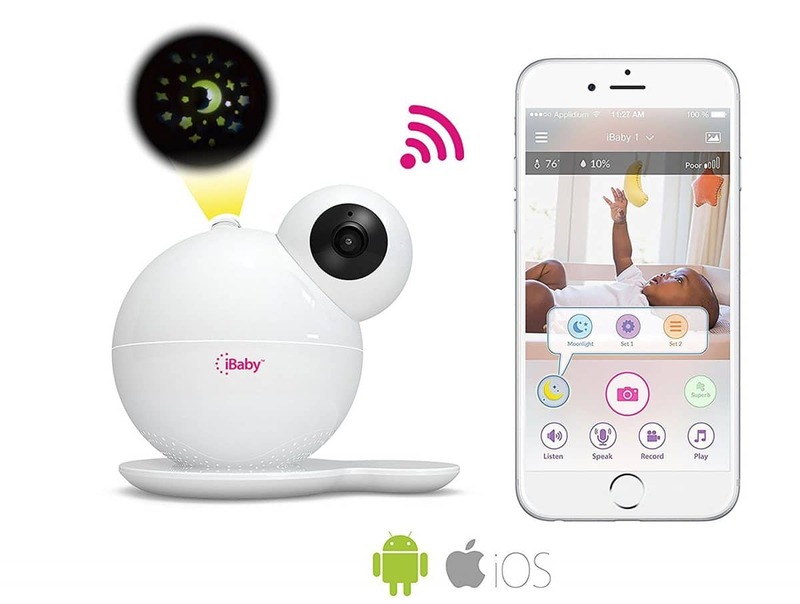 The Wansview baby monitor connects wirelessly via android/iOs mobile devices, Apple Mac Software, and PCs. It is useful, more so if your baby outgrows a sound monitor especially when he starts learning to walk. This camera records in 1080 pixels. It provides high-resolution videos meaning you won’t miss a thing day or night. The camera allows you to quickly access it using the Wansview app anywhere and at any time. 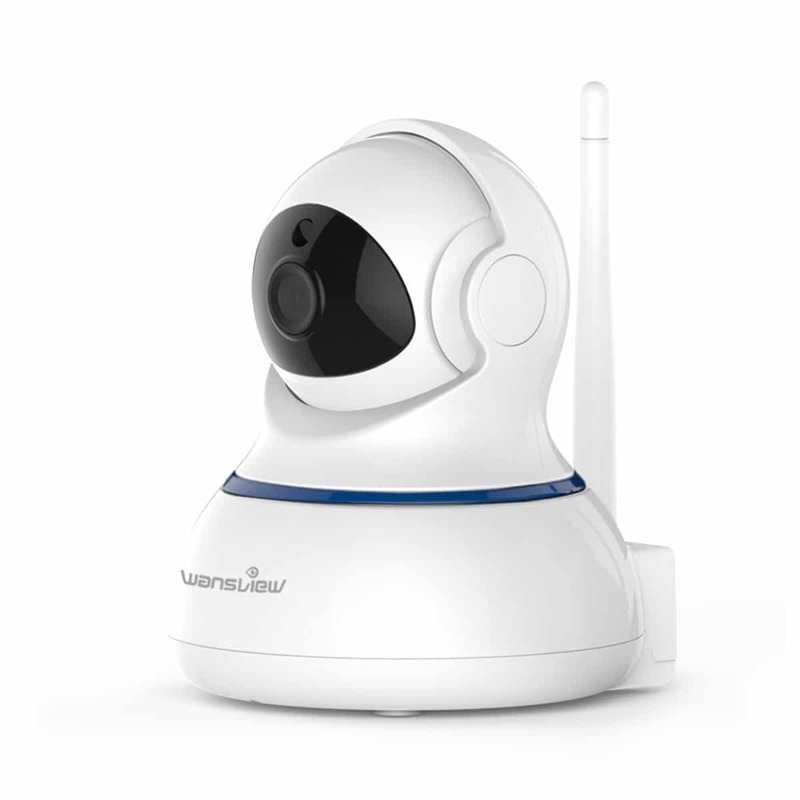 After it connects to your home Wi-Fi, the device can start recording 24 hours surveillance footage into PC software. The Wansview App allows you to speak to your kid and hear their input through the two-way audio feature. And when you want to how your baby is doing, just watch them via the app. 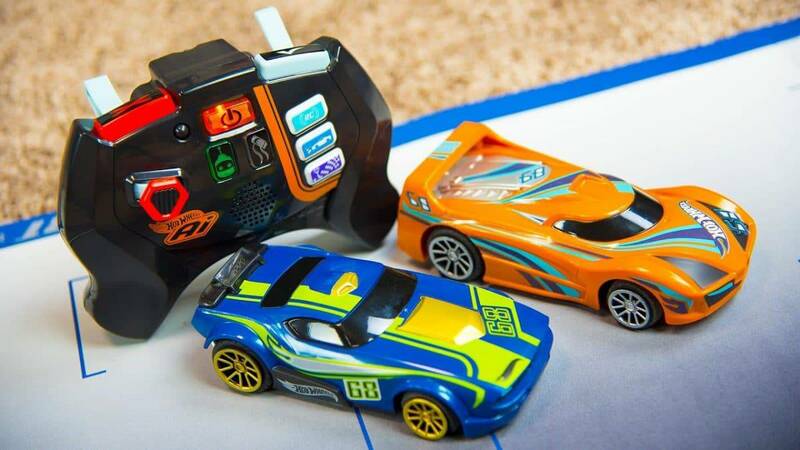 Even when you are in another room; you will keep tabs on how your kid is interacting with various toys. The Wansview lets you feel that you are with your baby when away from home. The camera provides high-quality video recording on PC software. It also supports recording a maximum of 128GB data on a micro SD card. Together with the two-way audio, this monitor makes for an excellent pick for older babies. The anxiety that follows new parents is what inspired the making of the Angelcare Baby Sound Monitor. Every parent wants to feel they have a third eye watching over their child when they step out even for a minute. With the Angelcare model, you can rest easy as you can take on more tasks without hovering over your baby’s crib every few minutes. This monitor comes with an easy-to-read color screen. It displays the nursery’s temperature so that you can know whether it’s too cold or too warm for comfort. Even when working in the next room, it allows you to sleep soundly knowing that you will be alert the moment your baby flails her arms and awakens. The nursery unit also works as a nightlight. You’ll not go stumbling into things when you are drowsy as it will provide enough light to guide you to where and how the baby is sleeping. The system operates at 927MHz and 2.4GHz frequency bands. It offers privacy, safety, and secure connection. If you are looking for a functional sound monitor which senses the baby’s movement, this device will be ideal for your needs. Angelcare brings a compact device that comes with a resting booth for the parent unit. It operates using four rechargeable AAA batteries, and it can also use an AC adaptor when you need to save on the batteries. It offers a range of 820ft which is nearly that of the Philips Avent. 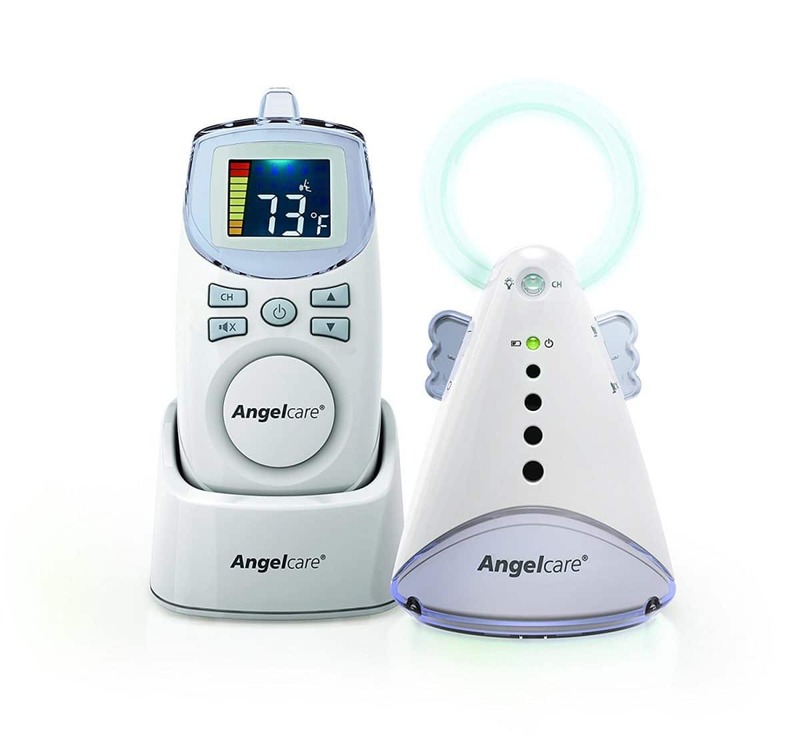 The Angelcare Sound Baby Monitor is a portable unit that provides clear transmissions. It offers the flexibility of use around the house. It is a practical device for newborn babies until the age of 6 months. Why we like it: The monitor that draws every mother to its secure private connection. This long range monitor experiences zero interruptions and is completely customizable. Are you looking for a monitor that will suit both your home and lifestyle? Well, we find the Philips Avent Baby Monitor remarkable. It offers you value for money in a device that will be useful over a long range. With 900ft detectable distance, this monitor allows you to step out of the house while giving you peace of mind when the baby is asleep. This monitor comes with a 1.6-inch LED screen. It displays the signal strength, room temperature, and battery level. When the baby cries or moves, the parent unit is activated, and it vibrates and lights up. The more movement there is, the more lights will be displayed. This unit operates using 2 AA rechargeable batteries. It gives you up to 18 hours battery life which provides you with hours of use without worrying about a low battery. If you fear that your monitor may bring about privacy interferences, Philips Avent is an ideal pick. The company promises 100% private connection which is also crucial for baby security. This keeps away by psychos who could hack into your system and spy on you and your baby. 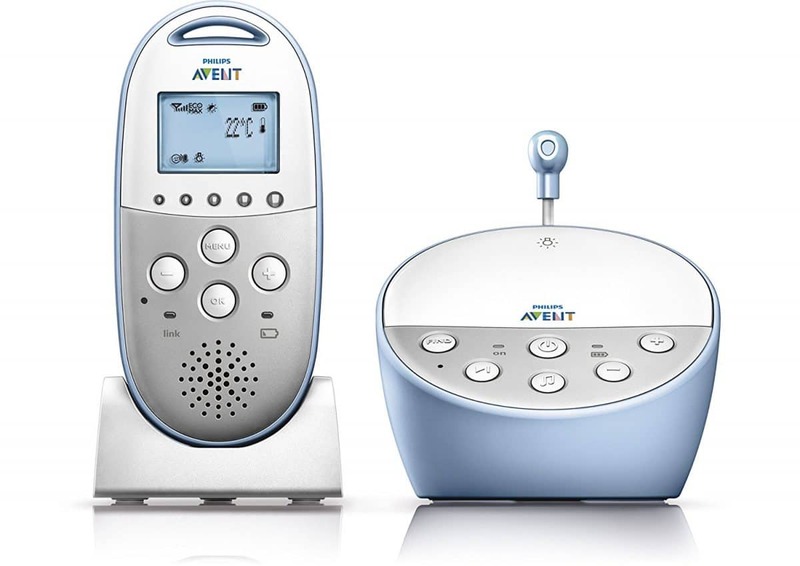 It uses DECT technology to provide secure, crystal clear sound of every baby’s movement. The Philips Avent allows you to step into the laundry room, clean the yard and never miss a single cry. After all, if you are not going to see your baby through a monitor, you might as well get the best sound. A talkback feature enables you to comfort the baby. It can play lullabies for 15 minutes so that they will feel your presence and snuggles back to sleep. What’s more, the Philips Avent has a temperature sensor. You will know the condition of the nursery so that you are assured your baby is sleeping peacefully. This is an overall high-value product. It has ideal range for you to complete work around the house without losing connection with the transmitter. It offers 100% privacy and improved security for the baby. Why we like it: A monitor with convenience features to suit the modern parents. SereneLife offers dedicated features and a satisfactory guarantee. If it’s not the wide screen that draws us to it, then it must be the color digital LCD. Day and night monitoring of your baby becomes easier as they grow up. But the first few months are hectic, and if you are overly panicky, you may never get anything done around the house. The SereneLife Wireless baby monitor provides both audio and video output allowing you to go about your chores during the baby’s nap time. A 3.2-inch wireless screen provides digital video via the 2.4GHz frequency band. The rechargeable monitor offers wireless use as you can take it anywhere around the house for up to 850ft. Better still, you can wear it on the body making it mobile whether you are in or out of the house. A built-in rechargeable battery comes in handy for long hours of use. You don’t have to keep charging this unit as it provides longer battery life than regular replaceable batteries. A built-in thermometer shows the state of the room. This ensures your baby sleeps in the ideal baby conditions. The SereneLife Wireless Video Monitor is one of the less expensive devices. It provides outstanding performance from the 2.4GHz band connectivity to built-in rechargeable battery, and wireless operation. It is a top performer, and you’ll love every minute of using it. Why we like it: A unique digital baby monitor that is smart Wi-Fi enabled. It’s a favorite among parents who love monitoring their babies from their smartphone. We start off with a brand that has recently topped the charts for innovation. The iBaby Care M7 succeeds the M6s as a monitor that allows watching your baby from the convenience of your smartphone. This device takes the shape of a tilting snowman, and it even includes a moon soother to help calm down fussy babies. This monitor houses a camera in a white plastic enclosure. It is aesthetically appealing and will go hand in hand with any décor. The base of this monitor is a motor which allows rotating of the top half, for full room panning. It also tilts to 100-degrees by simply touching the screen of your smartphone. The M7 carries Wi-Fi circuitry that will connect to your home network via 2.4GHz or 5GHz band. You just need to download the iBaby App which lets you stream and record live videos. It delivers 1080p video quality at 30fps. The monitor also provides night vision at a detection range of up to 20ft. iBaby uses built-in microphones and speakers which alert you when the baby starts to cry. It even includes two-way communications so you can sing and lull the baby back to sleep. The iBaby monitor allows you to play pre-programmed lullabies or music directly from your phone. What’s more, it includes sky projections like the moon which create an exciting but soothing atmosphere for the baby. iBaby explores advanced technology to make watching the baby hassle-free. You can now go about your daily tasks knowing your baby is sleeping peacefully in the nursery and that you don’t have to peek in the door every 5 minutes. Whether you are a new parent or preparing for a new baby, this guide will point the way to finding your ideal baby monitor. This is a device designed to transmit movements and sounds that a baby makes. The first baby monitors only allowed transmitting of audio, but recent developments have allowed them to send and record video. Baby monitors give parents live feeds of the baby’s sound so that they can be aware of their movements. It rests in the infant’s room, and you can check in with a parent unit or your mobile device. You might be wondering: do you need a monitor in the first place? 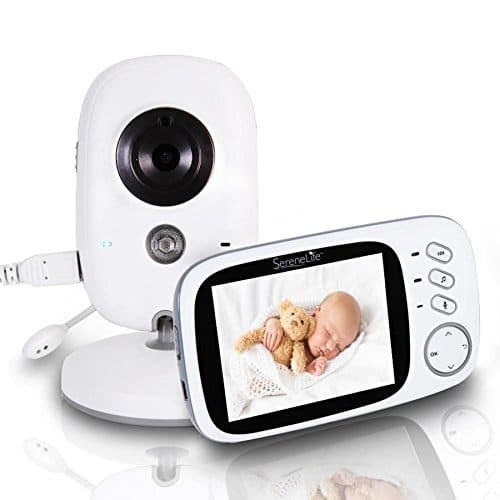 If you can always see your baby, say you live in a small apartment or the baby’s crib is in your bedroom, you do not have to rely on a baby monitor. But if your baby sleeps in a nursery, you’ll love the convenience brought about by a baby monitor. If you are a heavy sleeper, you may not hear when the baby wakes up. As such, a baby monitor will alert you when your child is awake. Although not scientifically proven, many parents find that they can hold out on picking the baby every time they cry as they can wait for the baby to self-soothe before they intervene. Video monitors, in particular, provide parents with the input they need to determine whether to walk into the nursery or not. If the baby is standing in the cot, for example, they may not go back to sleep until you intervene but if he/she is still lying down, chances are they might go back to sleep on their own. Taking care of a family comes with completing chores. But if you have to walk in the nursery hour on the hour, you may not get most of it done. As such, with a baby monitor, you can establish a connection with the baby’s room and only pick the baby when it is necessary. Knowing whether the baby is getting enough sleep is important. Some babies do not cry when they wake, and audio monitors will not tell you that they are awake. Video monitors, on the other hand, allow you to see whether the baby is asleep or just playing with their feet. Some of the latest entrants allow you to record video using voice commands. Baby monitors transmit sound and movement thus parents can know when someone else walks into the baby’s room. Even better, with a video monitor you can see when the baby is trying to get out of their crib; thus preventing future falls. Some monitors are overly sensitive such that they can pick up every single sound in the room. Instead of helping you sleep, you can spend time awake responding to every single movement that a healthy baby makes in their sleep. There are also some rumors that baby monitors can be hacked. The common challenge in finding baby monitors is getting one without static, irritating noise, or static. Many monitors can pick noise from nearby electric devices like washers which can drown out the baby’s sounds. Monitors that use the 2.4GHz frequency band tend to be culprits of interferences as the band is shared by other public airwaves like microwaves and laptops. Manufacturers that use digital transmission like Digital Enhanced Cordless Technology (DECT) can provide better audio performance. This is because they transmit encrypted data that cannot be intercepted. These models have sensors that detect sound and transmit it to the parent monitor. They can have temperature sensors to monitor baby’s room conditions and an LCD screen to display readings. They are generally inexpensive but price increases with improved features. 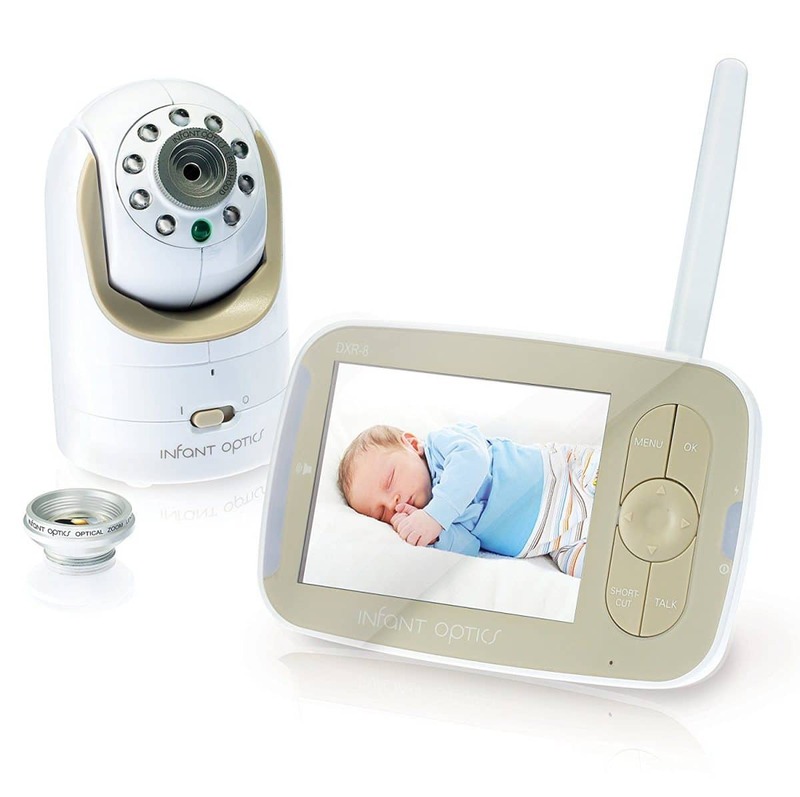 Apart from audio, the video monitor will provide a live feed of the baby via a camera. They can connect wirelessly or via a wired connection. These devices can also allow connecting with smartphones and other mobile devices. Video/audio monitors have a higher price tag thanks to the additional advancements. You’ll want a device that does not run out batteries as soon as the first alarm goes off. Baby monitors have either corded or cordless usage. Rechargeable batteries provide portability while AC connections limit movement. Look for units which can offer either capability; or at least 7 hours on rechargeable batteries. All the extra features that come with baby monitors are intended to make life easier. 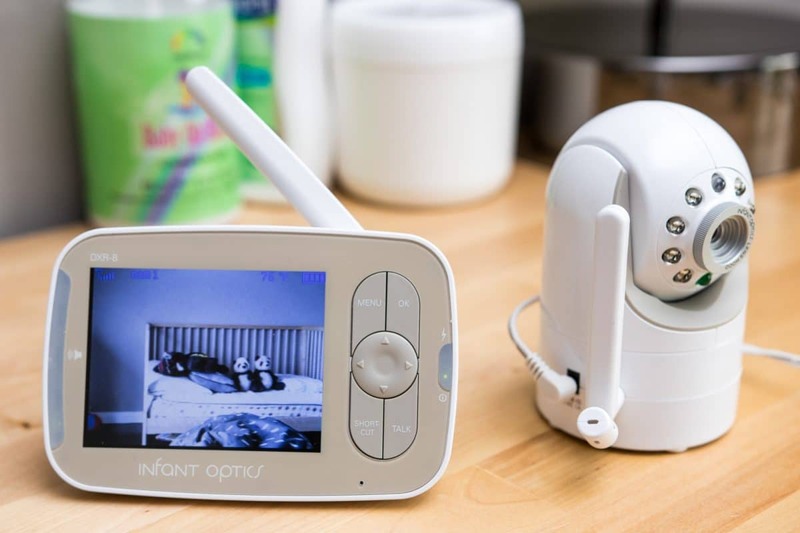 Some important features that you’ll want in a baby monitor include; night vision, temperature and humidity sensors, lights, out-of-range indicator, low-battery indicator, expandability, and volume control. Baby monitors are a blessing. We all know the joy and hassle of watching a baby in their first few months, but that doesn’t mean being stressed out of your mind. Let these baby monitors lend a helping hand by being the third eye as you go about your day. We’ve reviewed only the most sought brands, and we believe you have the information you need to take on baby monitoring to a whole new level.